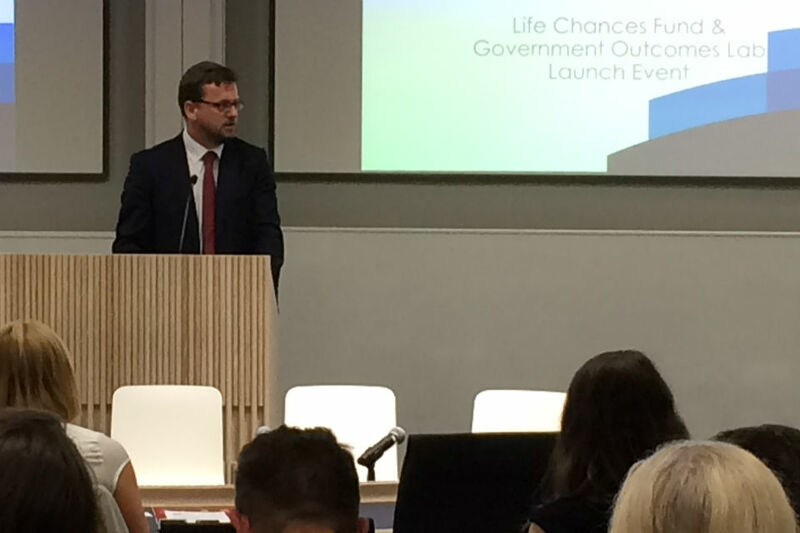 Earlier today, Rob Wilson, the Minister for Civil Society, launched an exciting partnership between the Cabinet Office and the Blavatnik School of Government at the University of Oxford, called the Government Outcomes (GO) Lab. This new centre of excellence will provide practical, in-person support for the development of Social Impact Bonds. Social Impact Bonds, or SIBs, are designed to help reform public service delivery. SIBs improve the social outcomes of publicly funded services by making funding conditional on achieving results. Investors pay for the project at the start, and then receive payments based on the results achieved by the project. SIBs bring together government, social sector organisations and socially motivated investors in partnerships that focus on outcomes and create a more collaborative way of working. Since piloting the Peterborough social impact bond six years ago, the UK continues to lead the world in this area. There are now 32 SIBs across the UK and lots more in development. They can be useful if the evidence of what works is incomplete, allowing new interventions to be tested without government having to fund them if they don’t work. One example is the Rough Sleeping Social Impact Bond, commissioned to look at new ways to support 830 homeless people in London. It has enabled 89% of people to move into stable accommodation and many are now employed full-time. They can play an important role in driving performance within existing public services, as providers have a clear financial incentive to deliver improved results. 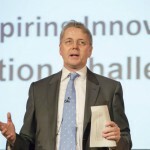 A rigorous focus on outcomes helped Career Connect, a charity delivering a SIB-financed programme in Greater Merseyside, to exceed its target of improving the careers awareness of 3,928 young people. They have the potential to co-ordinate multiple stakeholders and deliver preventative services. Teens & Toddlers is a fascinating example of a SIB-financed service with a focus on prevention. It aims to raise the aspirations of 1,300 young people by pairing them as mentors to nursery school children in need of extra support, helping two groups of children simultaneously. Public sector organisations across the UK are now experimenting with outcome-based approaches and realising these benefits. GO Lab will provide commissioners with research and tools to do this through advice, training and access to world-class research and online resources. It’s a fantastic opportunity to bring together academics, as well as experts from local authorities that are pioneers in this new field. Alongside the launch of the GO Lab, a new Life Chances Fund was also announced, designed specifically to support projects commissioned by local authorities. This will help address complex social problems, such as drug and alcohol dependency. As I have said previously, local government generates a large amount of data through the wide range of public services it delivers. This data will help identify specific issues where SIBs have the potential to drive better outcomes and value for money, as has already been done at a national level. As a volunteer with the British Red Cross, i often find it dificult to house people after for example a house fire in emergency housing/shelters provided by the council or within private sector, especially so in the winter. Could i suggest therefore that a bond be created to have closer working with civil service departments and local housing authorities and volunteer organisations like the British Red Cross to help in emergencies like this. An idea i had in mind for for example would be for those in receipt of benefits to have an emergency pin number given to them in overnight emergencies to access limited funds of no more than £50 to enable them to get food and clothing after the house fire. I have had incidents in which i have had beneficiaries left only with their pajamas on! Would be grateful for your thoughts on this.